From our walled garden, to grand herbaceous borders and sweeping lawns, to tree-lined walkways, Saltmarshe Hall is a year-round garden worthy of a visit. One of the most hidden parts of the garden, is our eye-catching heated swimming pool. So, why not spend this summer cooling off after your day of romance, relaxing after some birthday festivities or just gathering around for an evening with your friends. We’re happy to announce our outdoor private pool is available for hire for a limited period, here at Saltmarshe Hall. The pool itself is located deep in our nature filled gardens, giving you the quiet, secluded surroundings to relax, chill out and soak up the atmosphere with a glass of fizz. Even on those cooler evenings, you can turn up the temps and enjoy the moment - there really is no bad time to take a dip! What could be better than throwing off your shoes, feeling the cool air between your toes and dipping your feet in the cool, soft waves of our outdoor pool? Not a lot we're guessing! Whether you're staying with us in one of our rooms, having a pre-wedding chill out with your friends before the big day, or even just a random group booking, we'll make sure you're enjoying yourselves with your favourite drink in the quiet atmosphere! Due to its heating system, the Pool can be booked most times of the year, and can be customised around your occasion if requested! To book, visit our contact page for more future bookings and more information! Saltmarshe Hall is an historic 19th century stately home located in mature parkland in the secluded countryside of Yorkshire, with 14 luxury rooms, a three bedroom converted stable house and two bedroom cottage based on the estate, it holds a variety of exquisite accommodation to choose from. The grounds offer extensive lawns, wooded areas and a secluded walled garden which contains an array of colour with its kitchen garden, hornbeam hedges and bordered walkways. The Hall is very well known for its stunning grounds, long lawns, and breath-taking weddings and events; But one of the main beauties of the historic Hall is it’s stunning, recently refurbished accommodation. We're so excited to be finishing off our newest addition to our portfolio of rooms, the Bridal Suite. Saltmarshe suites are designed from the ground up, encompassing everything from traditional floor plans to unique, bespoke crafted and locally sourced furniture. We start from the ground and work the room up to the beautiful, artisan-like rooms you know and love. This year, we’re developing the brand new Bridal Suite, using our favourite tool: the mood board. We love using them here to develop our rooms at Saltmarshe, so much so, that we’ve decided to share our recent development with you all..
As always, we've used local businesses and products to create our brand new room, we’re working very closely alongside Egg Interiors, yorkshires finest interior design company and the lovely Jemma Shek from Contents Design, a talented interior designer who has helped us really bring the suite to life. The room itself boasts a mixture of both traditional and contemporary features, as well as a stunning ensuite. We've spent an extensive amount of time developing this suite in particular to ensure its elegance is just as breathtaking and luxurious as our other suites. Whether its a wedding, an event, or accommodation.. We don't do anything half hearted here at Saltmarshe! With many finishing touches yet to be installed, we look forward to hear your feedback in regards to our progress, we're so excited to show it to everyone when its finished, it really is going to be something special. For pre-bookings of our exciting new room, get in touch by contacting us! The North Wing Has arrived at Saltmarshe Hall! With the addition of our brand new North Wing, Saltmarshe is an even more attractive and sought after location. 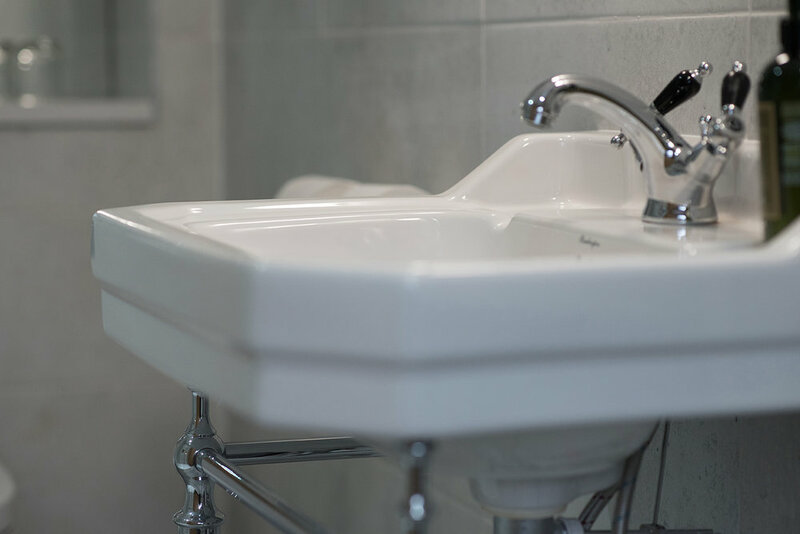 Our reputation was earned by providing some of the best wedding’s Yorkshire has ever seen and now we’re offering luxury ensuites to international clients. The award winning Saltmarshe Hall is situated in the gorgeous countryside of Howden, with self contained luxury accommodation being second to none in the Yorkshire area. We’ve really gone that extra mile here at Saltmarshe Hall to present our clients, customers and brides the accommodation that they deserve. Over the past several months we have been developing this finely crafted selection of ensuites, situated at the front-side of the building where the view is the most serene. The North Wing, previously an old servants wing, had laid dormant for over 80 years before it was redeveloped, with it’s history almost as beautiful as the rooms themselves. Given the age of the house, part of its charm is the lack of linearity. Rather than altering this, we chose to retain the character of the building. When we looked at redecorating, we were really keen to retain the atmosphere of the bedrooms, so we worked tirelessly with an interior designer to come up with a scheme that reflected the heritage and sympathetic finishes of the wing. Furthermore, each room has been hand styled and custom decorated by the finest artisans in Yorkshire, fitted with bespoke hand selected furnishings. We worked through designs for the rooms using the existing floor plan, altering as little as possible as we felt it was more important to keep the rooms as near to the original as we could. We are delighted to have been able to give this part of the Hall a future and look forward to having it come back to life. All our rooms, including The North Wing, are licensed for ceremonies so that you can tailor the day around your personal wishes. There's a room for every occasion, allowing you to soak up the atmosphere and celebrate in style. Enjoy your time at Saltmarshe Hall. If you’d like more information, or to inquire about a booking please use the ‘Book Now’ button below, alternatively you can call or email Saltmarshe Hall.